3 channel video installation, HD 16:9, duration 13 min. 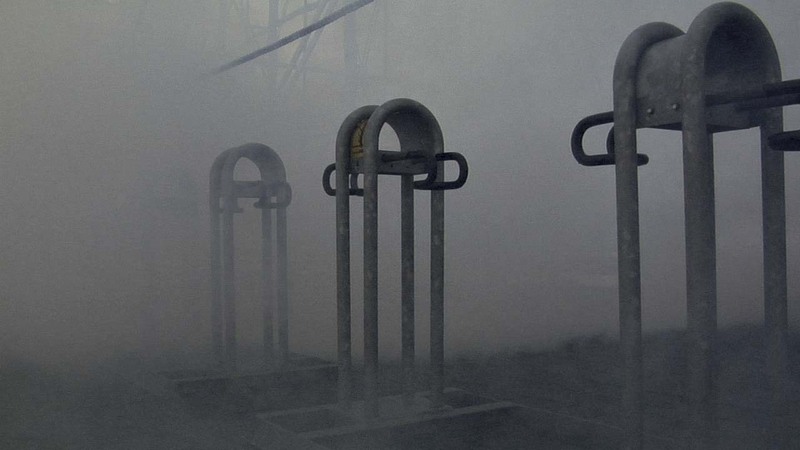 LH: The working title for your video is Fog, which could be either highly concrete or highly metaphorical. What kinds of mental imagery do you associate with fog? OK: In a way, my piece investigates meetings between conflicting perspectives, and the tensions that arise from them. 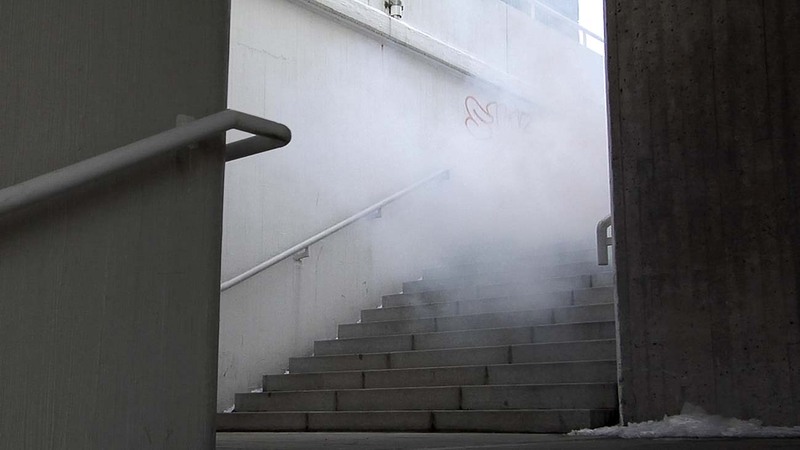 In one image, the camera follows the progress of a fog bank in an anonymous urban environment. In another image, the surroundings are seen from within the fog – from the point of view of someone or something trapped in it. My work process is partly based on my own experiences of becoming engulfed by fog and of the incredibly strong feeling of disorientation it produces. Fog erases all directions and distances, so that you lose your sense of place. In a way you become separated from concrete reality. When there are no sensory stimuli, the mind starts to produce them artificially, scrabbling to build at least some semblance of reality to hold on to. It desperately tries to forge perceptions of the environment that has dissolved into the surrounding brilliant space. On the other hand, seem from the outside, the fog in the piece acts as a kind of blind spot for the field of perception. It expresses the existence of something or someone, but at the same time blots it out until it is unrecognisable and foreign. Unpredictable and mysterious, it spreads into the carefully regulated and controlled urban environment. Naturally the fog in the video is linked to each viewer’s personal impressions and experiences, and acquires new meanings through it.